@sportsczy wrote: It will. He may miss the Euro entirely. They will take a week to evaluate. Yup just saw the confirmation that he's officially out of the euros and that Adil Rami will replace him. Is there any future for this lad at RM, or is he better off trying to revive his career else where? 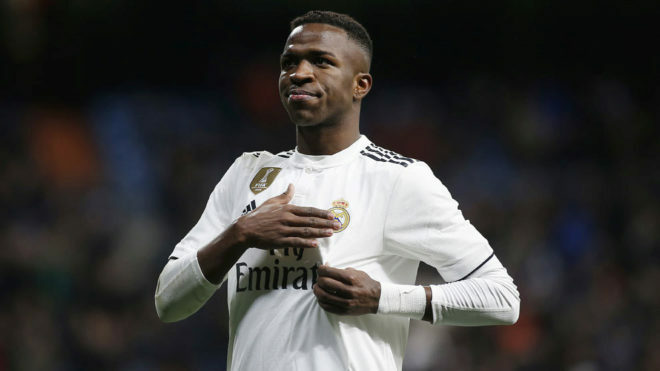 @Winter is Coming wrote: Is there any future for this lad at RM, or is he better off trying to revive his career else where? Remember his goat performance against Barça three years ago? He has never been able to replicate it or even come close to it. The pre-injury Varane blows post-injury Varane out of the water. The difference between the two is staggeringly obvious. He went from an extremely talented all-rounder with the potential to become a world beater to a talented, albeit inconsistent defender with many flaws and nothing special to make him levitate above the rest. Don't get me wrong though, he's still one of the best CBs in the world. But he lost that "it", that gift, that special thing that only one in a million has and which separates true greats from elites. And what's even sadder is that his talent isn't the only thing he lost a big chunk of, he also lost (or maybe he didn't even have it in the first place) his professionalism. He has now become a whiny player trying to bully his way to the starting eleven even though he didn't have the performance to show for it. The guy was benched by Carlo and then Z (his countryman and the very same man who recommended him to the club), yet he somehow feels his benching wasn't deserved. And now, after threatening to leave the club not too long ago, he has now decided to stay after Z talked to him. He must've been given guarantees, otherwise he would've sought pastures new. His future lies with Madrid. But if it was up to me? He wouldn't have lasted one second after threatening the club. I do and he does have a huge potential still, but I believe his injury as well as the constant change in managers has played a part in him not developing well. Tbf to the managers to hard to help out someone when its either league title or CL, if neither most likely sacked. I believe the only reason ZZ kept him around is because Pepe and Ramos aren't getting any younger and their still a chance for him to prove himself, or at least with the transfer ban coming up they'd rather keep everyone they can to get through that. Pepe improving every season despite being a 33yo doesn't help him either, the original plan for Varane was to become Sergio's partner in defense once Pepe starts declining but he's not showing any sign of it right now. Still very young... but injuries are ruining him. Imo, he needs to leave Real Madrid for a simple reason: The Real Madrid injury jinx. Normal players get injured often here let alone injury-prone ones. I also don't think that Real Madrid can count on a player that is continuously at risk of injury, similar to Bale. gtfo we would never let this freak leave for god's sake.